With jet black eyes and hair singed by the lights of John Logie Baird’s early televisor, Stooky Bill was the inventor’s ventriloquial sidekick. 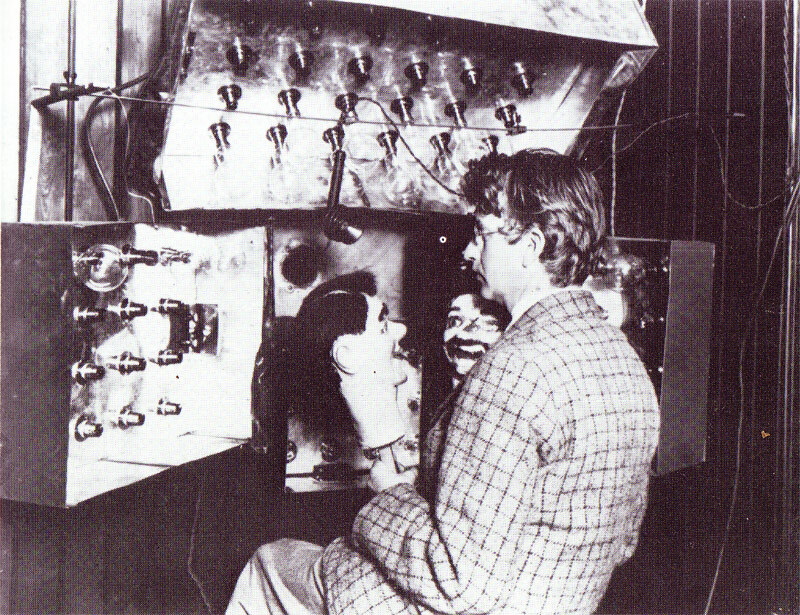 Stooky’s face appeared as a streaky blob on the second ever televisor image, around 1925. A ‘stooky’ is a plaster cast. Made of plaster himself, Stooky had sufficient contrast to be just about discernible on Baird’s earliest televisor images. And he stayed still, like the most patient human sitter, while Baird adjusted his televisor equipment. John Logie-Baird in Frith Street, Soho, London, c1925. This photo shows there were at least two Stookies.